Yas Waterworld, a leading waterpark in Abu Dhabi, succeeded in its attempt to win the Guinness World Records title for ‘Most Nationalities in a Swimming Pool” recently. 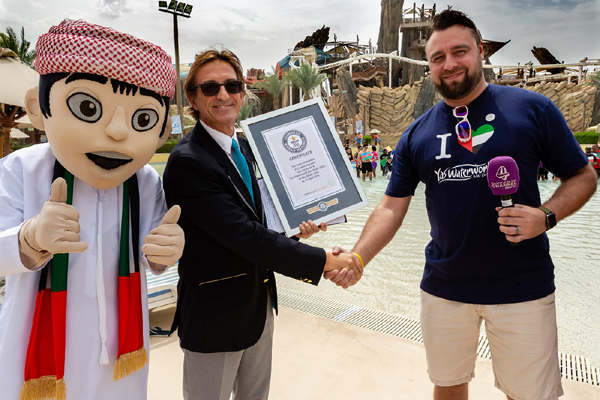 The event, on April 12, was held in the presence of Guinness World Records representative as well as Farah Experiences and Yas Waterworld senior management. It saw people from 102 nationalities come together to represent their home countries and celebrate the values of co-existence and tolerance that the UAE has long embraced.